I discovered Facebook’s Code Generator in 2012. That was shortly after my Facebook account had been hacked…twice. Both times we were traveling out of the country and I was using public networks. When I saw in the App Store that my Facebook app had recently updated, I figured out the problem. I figured that Facebook must have updated the app, but not their support (Help) Pages. That was back before we knew just how insecure public networks were! When I discovered Code Generator I was thrilled because I use too many different types of devices to effectively use an Authenticator app like Google Authenticator. We’ve just returned home from another international trip and I tried to login to Facebook on an iPad using Safari. 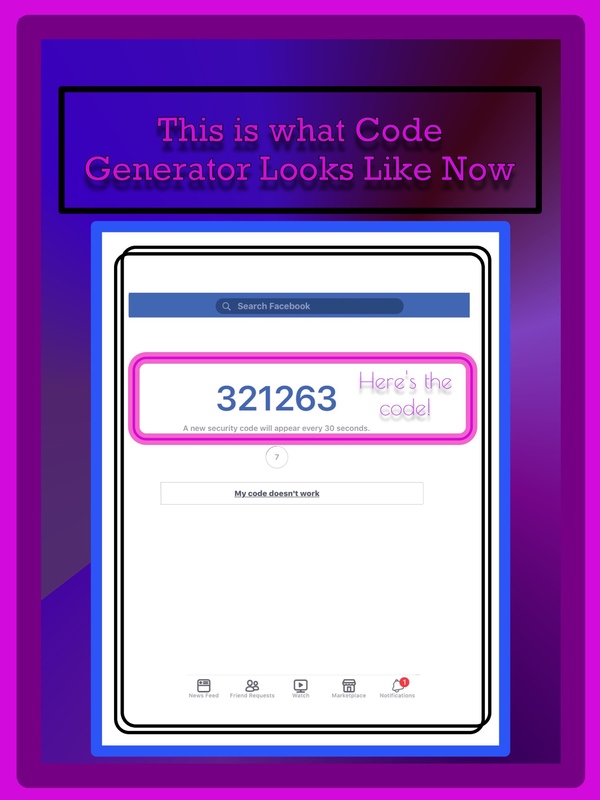 I received the message that I should enter the number generated by Code Generator…but when I opened the ios Facebook app, their Code Generator was nowhere to be found! I tried things like generating backup codes and then using one of those codes in Safari…but that didn’t work. Nothing in fact did work! That’s when I decided to try the whole process over again. Upon doing so the Code Generator did finally kick in and I was able to use it! But it’s no longer stored within the app. So I’ll explain how to use it now. In order to use my instructions you must have Facebook’s ios app installed. 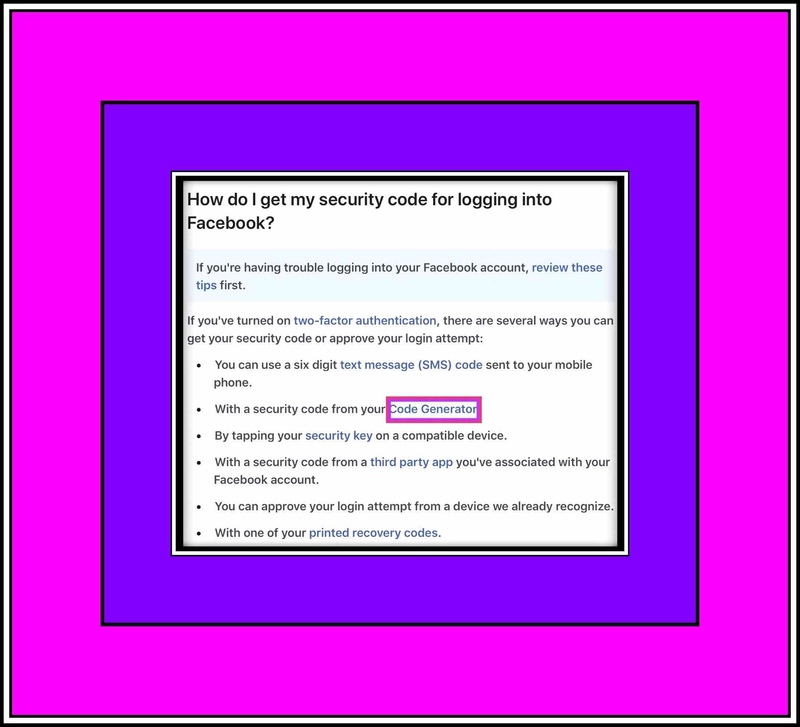 Attempt to login to Facebook by entering your account email address or your username…and then your Facebook password. Then Facebook should send you an app message…sort of like a text message…which contains the Code you need to enter. Just drag your finger down from the top of your screen to see your ios notifications and tap on the notification message that the Facebook app generated. As soon as you tap on the message, Facebook will generate a code and open the app to display it for you…see below. This is what Code Generator looks like when you open it in the most current version. Memorize this number and enter it wherever you were attempting to log into Facebook. Facebook used to include that information. Unfortunately, they still have the old support information related to using their earlier version of Code Generator within their newest ios app. See below for examples. Here’s an in-app help screen that explains Code Generator. Facebook’s in-app support provides old instructions for using their Code Generator. That’s why I’ve written this post. I spent way too much time trying to figure this out. I even messaged Facebook Support explaining the problem. So, hopefully they will fix it soon. But I’m not holding my breath waiting for that to happen! One time Facebook started blocking my 90 year old Dad’s posts from his blog…stating that they were a security risk. I emailed them and it was a good year later when someone from Facebook actually responded. In the meantime my Dad had quit Facebook because he believed it was insecure!!! Which Version of Facebook Still Has Code Generator In It? Below is a screenshot I took from another one of my iPads that still does have Code Generator on it. I found three different versions of Facebook on my iPads which are all pictured below. This version doesn’t have it! 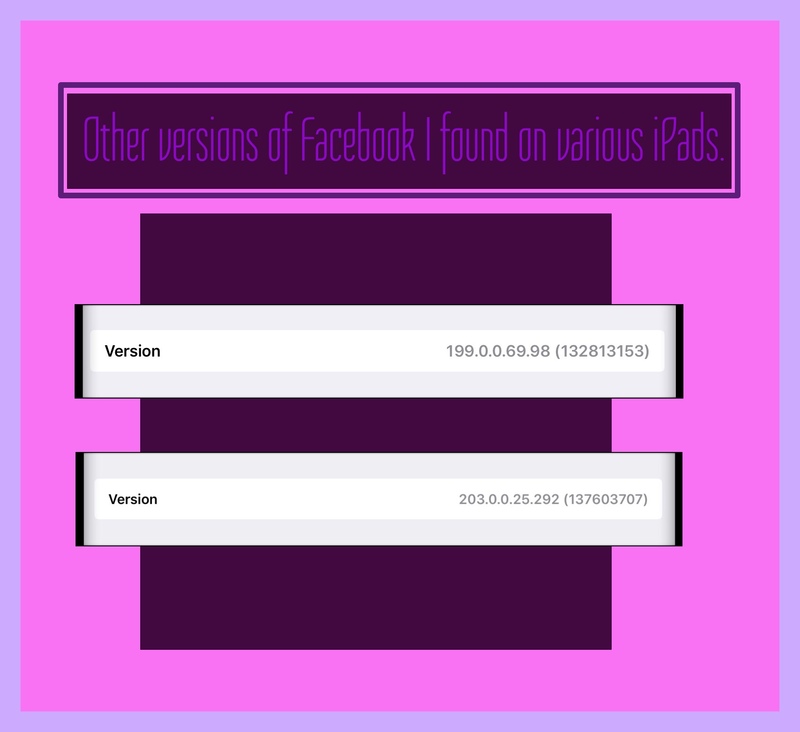 The iPad that does have Code Generator is using Facebook version 199.0.0.69.98. Apparently there have been 2 app updates since that one. Below is a Screenshot showing where you’ll find Code Generator in this older version of the app. You’ll arrive at the screenhot below by tapping on the ‘hamburger menu’ at the bottom right-side of the page. Then you open the Settings and Privacy section that’s shown below by tapping on the tiny little downward pointing arrow. 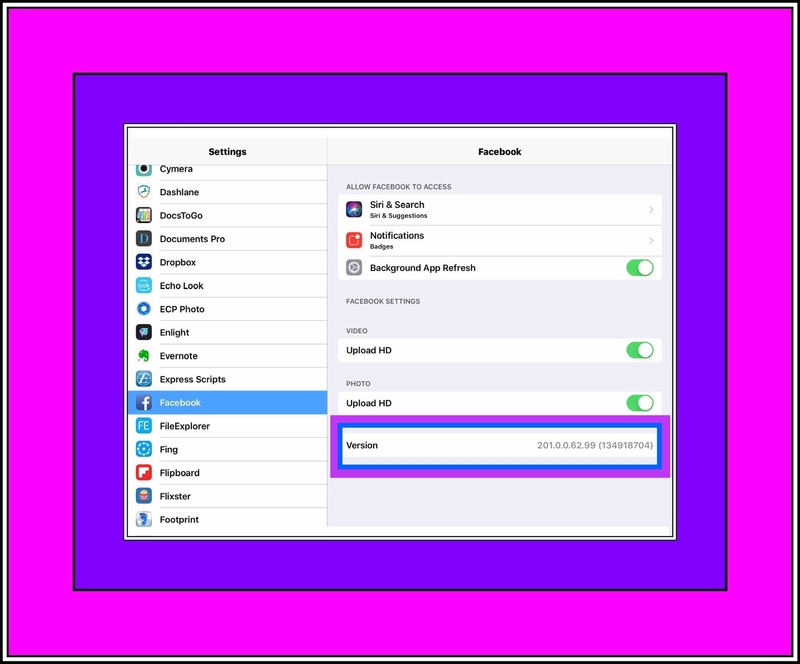 Where to find the old Code Generator within the ios app. 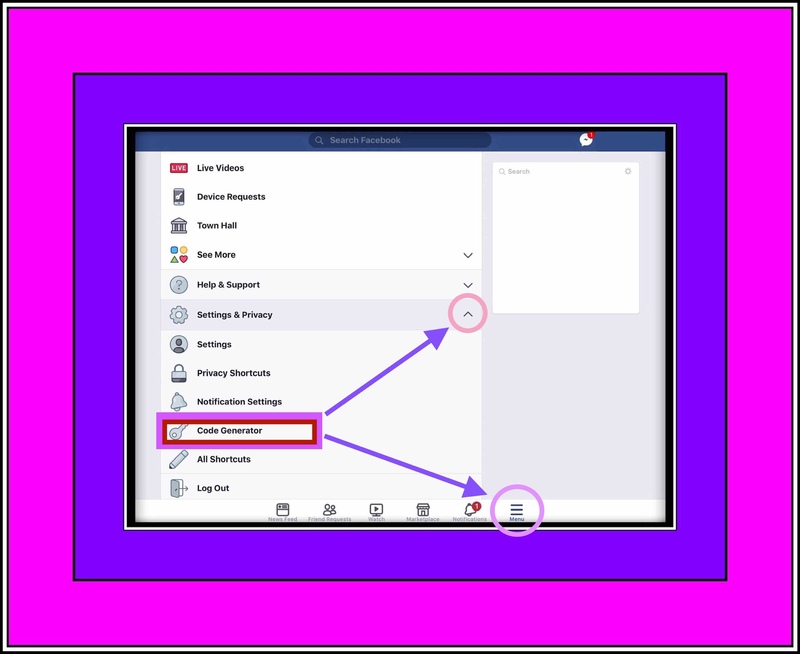 Facebook has published some information online about Code Generator and how it works…which is different than the old, outdated information that still appears within the app. But this information looks like it was written by someone who didn’t fully understand how it works themselves…because this description really makes no sense! Please feel free to leave a comment or question by scrolling further down the page. 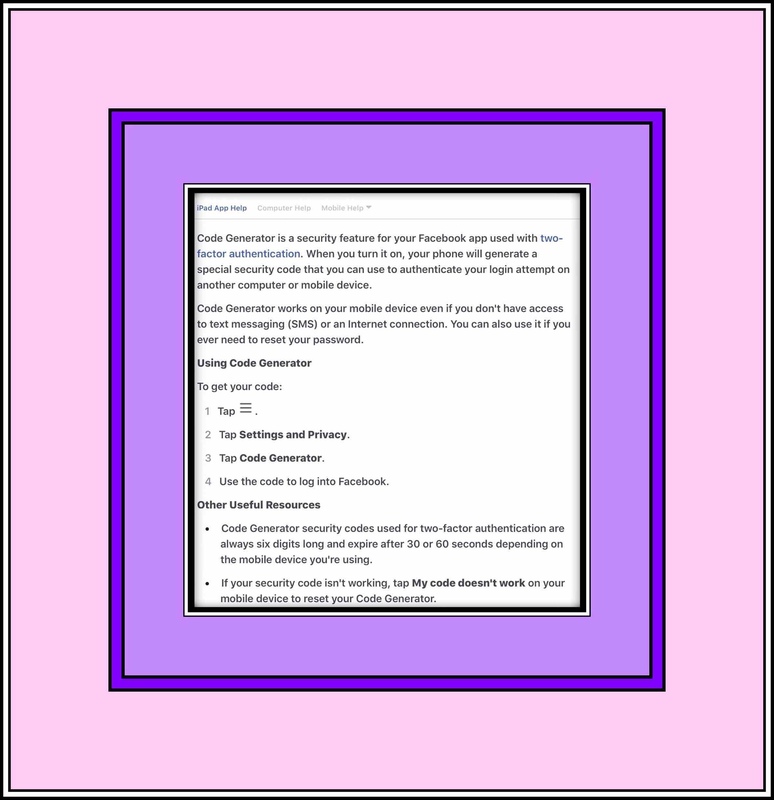 This entry was posted in Apple, Facebook, Social Networks and tagged Face Book Privacy, Facebook, Facebook 2-Factor Authentication, Facebook Security, Password Security, password’s. Bookmark the permalink.